Keep Your Temperature Gauge at Bay! It doesn’t matter if you know very little about your engine and how it works, you know one thing: If your engine overheats then you aren’t going anywhere. However, this lack of knowledge doesn’t mean that you can’t keep your temperatures down! 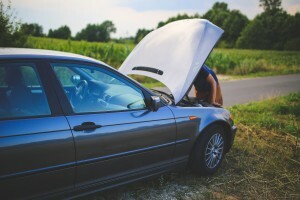 While it can be easy to think that you need to know the inner workings of your engine or hos it all works, in reality, there are many things an everyday motorist can do to keep their car on the road for longer during extreme heat. To help you get started, below are some great tips from TenEyck Distributing which can help to both keep your temperatures low and your vehicle on the road for longer during times of extreme heat. Water in the Radiator Is Enough, Right? It makes sense: Water keeps you cool at home so why wouldn’t it work in your radiator? Well, while it’s true that it can work to a degree, it doesn’t reduce your engine temperature enough than you need to keep moving. Instead, an engine coolant is your best bet. Why? Engine coolant is a product which has been purpose designed to keep your engine temperatures low, even as the outside temperatures continue to climb. How? While it may look pretty clear, coolant actually has a range of additives and chemicals which actively work together to produce a cooling effect, as opposed to just boiling which is what regular water will do. Here is the most common scenario. A group of friends is driving along the road to reach the beach to take advantage of the summer heat. As the group drives they find themselves stuck in slow-moving traffic. The longer they wait or creep in traffic, the higher the temperature gauge goes. In response to this, the group all cross their fingers, legs, and hands and hope to anything and anyone that the temperature gauge will magically go down and the engine temperatures will go down with it. If this scenario seems familiar then you know that this ends in one thing: The car breaks down in the middle of the road while steam pours from the radiator, leaving the group to sit by the side of the road while they wait for help to arrive. In the meantime, the car is often stuck in the middle of the road getting into other motorists’ way. The next time you are driving and you can see the gauge rising, the best thing which you can do is pull over safely to the side of the road and switch your car off. That’s right - it’s as simple as that. In addition to letting your car cool down normally, it is also a great way to wait for traffic to alleviate. After about 30 minutes and the traffic has subsided, your car can be ready to either make it to the beach or to get you home to have your radiator checked. If you are still using water in your radiator, click here to buy Passenger Car & Light Truck Antifreeze & Coolant. Purpose designed to actively keep your engine cool as you drive in extreme heat, Passenger Car & Light Truck Antifreeze & Coolant can not only keep your engine temperatures low but also work to improve your engine performance during the summer heat. To find out more, speak with an expert at TenEyck Distributing by calling (208) 589-4660 or check out the online store for additional information. If you simply must use your air conditioning, keep the usage to small bursts and don’t crank it all the way up until you and your passengers feel like they are in a scene from Disney’s Frozen. Turning on your heater can actually be a benefit. By turning on your car’s non-powered heater, aiming your air vents towards your windows, and then opening your windows slightly, the effect can actually work to vent your engine from excess heat. If you will be driving long distances on a freeway, open up your front windows all the way and then your back windows slightly. This can work to encourage cool air from outside into your car via the front windows whilst pushing out any stale or hot air from the rear windows. Is Your Car in Good Shape? Keeping your air filter clean. Check that your oil filter isn’t clogged. Ensure your tire pressure is accurate. Make sure that your fluid levels are at the correct level and are in good condition. Give your car a synthetic oil change. While these tips may seem basic, they all work to reduce the effort your energy needs to exert, effectively keeping your engine temperatures down as you drive. Giving your car a synthetic oil change is a great way to give your engine performance a boost and reduce the amount of effort it needs to use to operate. This is done by properly lubricating your engine’s internal parts, making every motion your engine part undertakes smoother and using less effort. To find the right product for your vehicle or to learn more about the benefits of a synthetic oil change, speak with an expert at TenEyck Distributing by calling (208) 589-4660. With a range of high-quality AMSOIL products available, you can trust that their expert advice will see you using the right products for your engine.